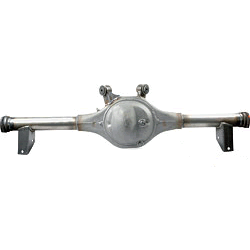 60″ offset new reproduction stamping Ford 9″ housing with new 3″ tubes and GN hub type snouts. Housings have fill and drain plug installed. 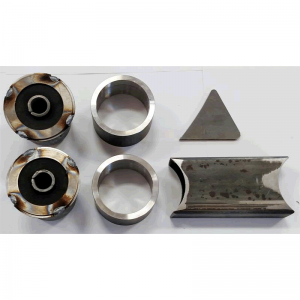 Kit includes standard 5×5 GN hubs, hub bearings, seals, brake rotor, drive flange, 31 spline solid axles and all hardware necessary. Custom Part is Non-Returnable and Non-Refundable. 60″ offset new reproduction stamping Ford 9″ housing with new 3″ tubes, fill and drain plug installed and jig-welded. 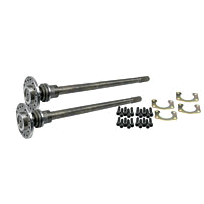 Kit includes standard 5×5 GN hubs, hub bearings, seals, brake rotor, drive flange, 31 spline solid axles (29.5″ and 32″ length) and all hardware necessary. 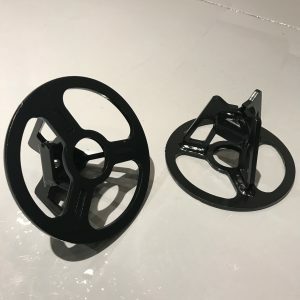 Spring perches and shock mounts come as kits so that you can properly locate them for your specific chassis. USRA/IMCA legal. 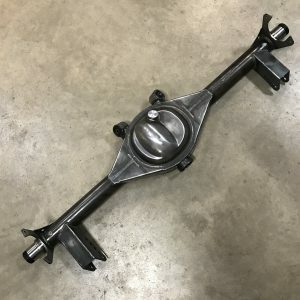 Axle Housing Inner Seal for 9 Inch GN Rearends. 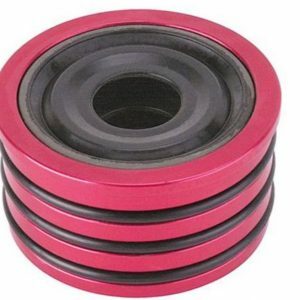 Three O-rings that seal it to the axle tube and two bonded, heavy duty inner seals designed to compensate for any amount of axle shaft run out. Keeps gear oil in the center section. 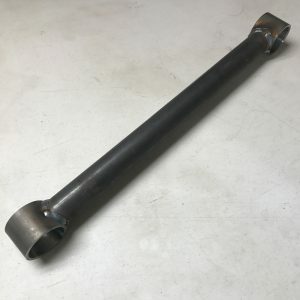 2.625″ Housing Tube Size. 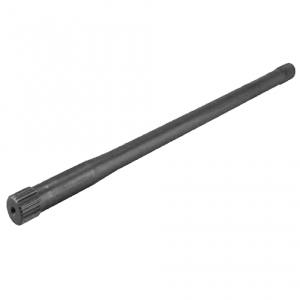 29.5″ Premium GN gun drilled axle. These new Currie 31-spline axles feature press in studs in a 5×4 3/4 wheel bolt pattern, , ¼ thick heavy duty bearing retainer plates, and tapered wheel bearings pressed on. These new Superior 28 or 31-spline axles feature screw in studs in a 5×5 wheel bolt pattern, , ¼ thick heavy duty bearing retainer plates, and tapered wheel bearings pressed on. 1 diameter x 11 long weight jack bolt. 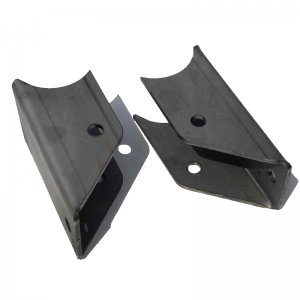 These caliper mount brackets are built to fit the small GM metric calipers. Use this kit to build your own custom rear end. Looking for increased forward bit and traction? 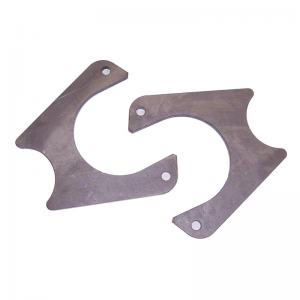 Then this trailing arm bracket kit is a must have. Specifically designed to increase LR drive off the corner and corner entry adjustability with multiple hole adjustments on the RR. 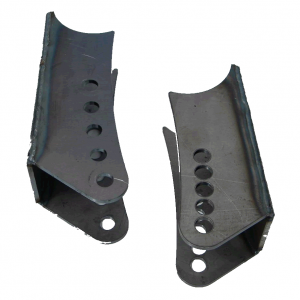 Designed for the Hobby stocks, these trailing arm brackets have the lowest mounting hole position possible. 2.50″ from axle tube to center of hole. 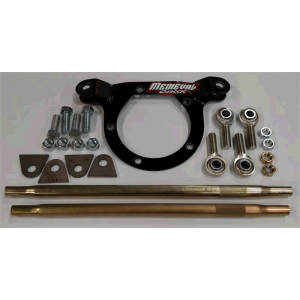 This trailing arm bracket kit was designed to allow trailing arm angle adjustments just like what can be done on modifieds….. 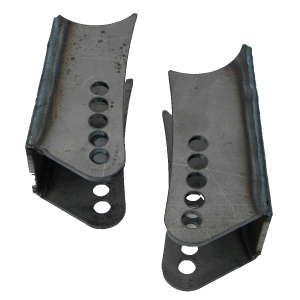 Designed for the Wissota street stocks, these trailing arm brackets have the lowest mounting hole position possible. 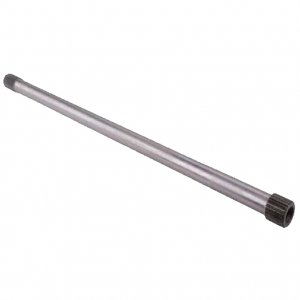 4.0″ from axle tube to center of hole. 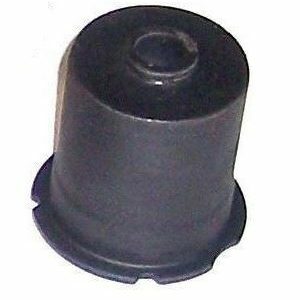 These tapered profile spring cups are manufactured from high strength steel and are designed to minimize any stretch and bending while still being lightweight. 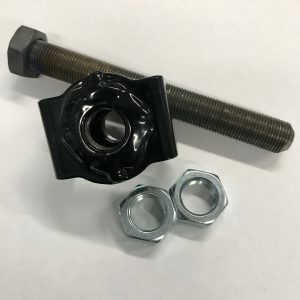 Has a 1/4″ hole on bottom to allow bolting to your weight jack bolt. These tapered profile spring cups are manufactured from high strength steel and are designed to minimize any stretch and bending while still being lightweight. Has a 1/4″ hole on bottom to allow bolting to your weight jack bolt. This Spring Cup is extended to hold the spring while the chassis hikes for Northern Sport Mods and Limited Mods. 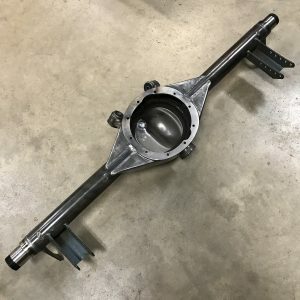 60″ offset new reproduction stamping Ford 9″ housing with new 3″ tubes and GN hub type snouts. Housings have fill and drain plug installed. SportMod jigged. 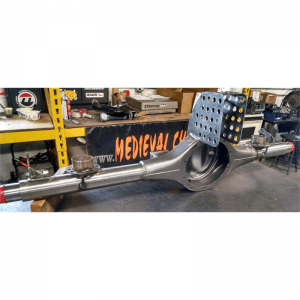 60″ offset new reproduction stamping Ford 9″ housing with new 3″ tubes and GN hub type snouts. Housings have fill and drain plug installed. New reproduction stamping Ford 9″ housing with new 3″ tubes and big bearing type flanges. 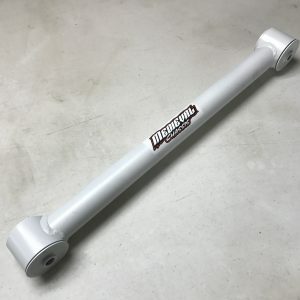 Want a stronger trailing arm at a better price? We proudly give you the “BAREBONE”! Same length and weight of a stock trailing arm but much stronger. 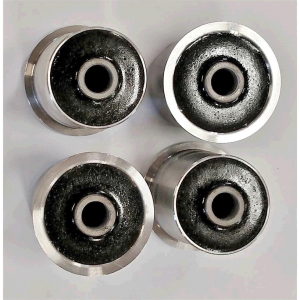 Will accept any OEM type bushing. Want a stronger trailing arm plus the performance advantage of the “Pull” bushing? We proudly give you the “DOGBONE”! 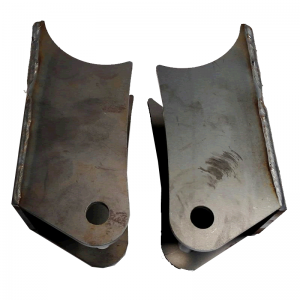 Same length (11-1/8″ C to C) and weight of a stock trailing arm but much stronger. Has “Pull” bushings installed, sized for 1/2″ bolts and is a bolt in ready unit. Want a stronger trailing arm plus the performance advantage of the “Twist” bushing? We proudly give you the “DOGBONE”! 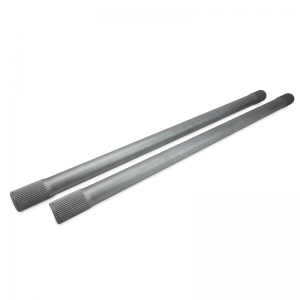 Same length (19-1/4″ C to C) and weight of a stock trailing arm but much stronger. Has “Twist” bushings installed, sized for 1/2″ bolts and is a bolt in ready unit. 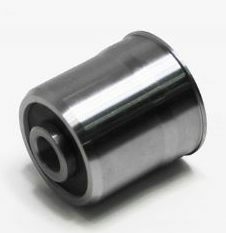 This is a new bushing that is used in the upper trailing arms to create side bite and cushioning of the rear end. 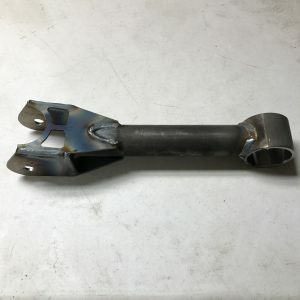 For those of you that want the benefits of the “Pull” bushing but without the hassle of installing them. OEM reproduction stampings with our bushings installed. 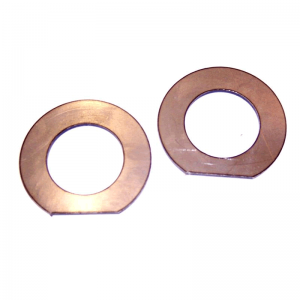 Sized for use with a 1/2″ bolt. These are a bolt in ready unit. For those of you that want the benefits of the Twist bushing but without the hassle of installing them. 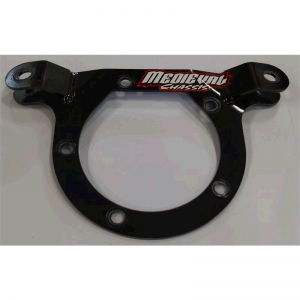 This bolt on upper trailing arm mount is designed to allow use of a quick change into a stock GM metric chassis. Built with corrected pinion angle and our proven “Pull” Bushings. 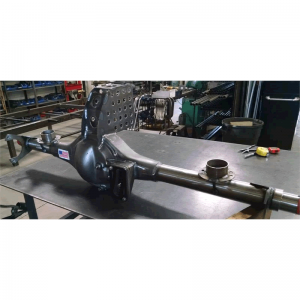 This bolt on upper trailing arm mount is designed to allow use of a quick change into a stock GM metric chassis. Built with corrected pinion angle and our proven “Spherical” Bushings. 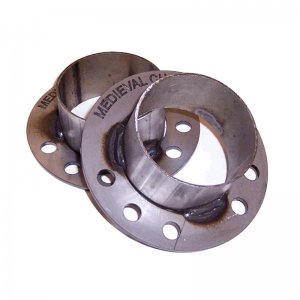 Max performance with this Medieval Rear Bushing Kit. This will allow the rear suspension to fully articulate and move without any binding. 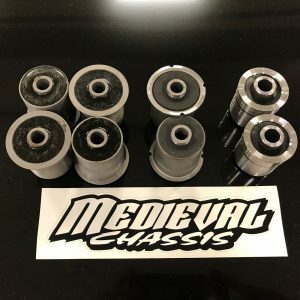 Includes (2) Medieval “Pull” bushings for the upper trailing arms, (2) Spherical Bearings for the upper rear end, and (1) Medieval “Twist” kit for the lower trailing arms. Fits all Chassis Brands! 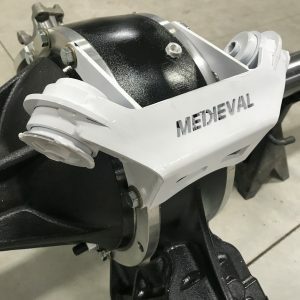 The new Medieval “Twist” bushing is the ultimate in trailing arm bushing technology! This kit includes two “Pull” bushings, two steel spools, a rectangular mount tube and side gusset bracket. 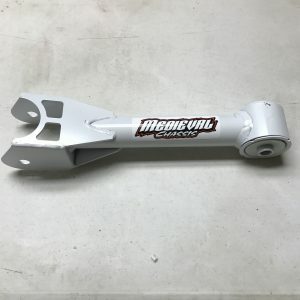 Use this kit to build your own custom rear end. 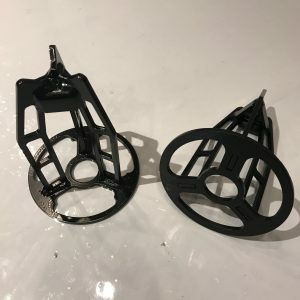 Strong, simple and lightweight spring perches that you can use to build your custom rear end. This kit is design to reinforce the rear end so that the tubes do not bend if a wheel gets wrecked. It will also prevent the rear end from deflecting under load and changing the alignment of the rear end while braking and under gas. Recommend using these bearings on the rear end mounts only. (if rules allow) They will take all of the bind out of the rear end. 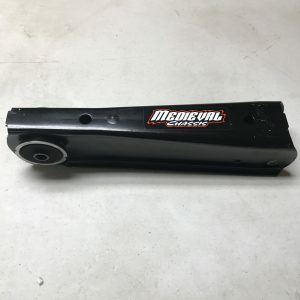 Couple these with using our Medieval “Pull” Bushings (MMX FB397) on the upper trailing arms – this will give you the best configuration possible. 29.5″ and 32″ Pair of premium GN gun drilled axles. 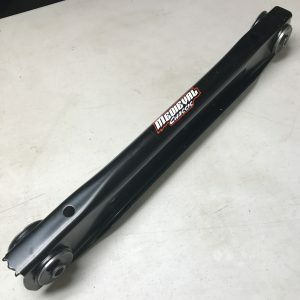 Stop spending big money on rubber seals and sleeves to stop rear end grease from being pulled into the RH rear end tube. Sold as pair.